This one-of-a-kind guide will explain everything you need to know to get in on-and profit from-this lucrative real estate opportunity. Lita Epstein, MBA, excels at translating complex financial topics critical to people's everyday life. 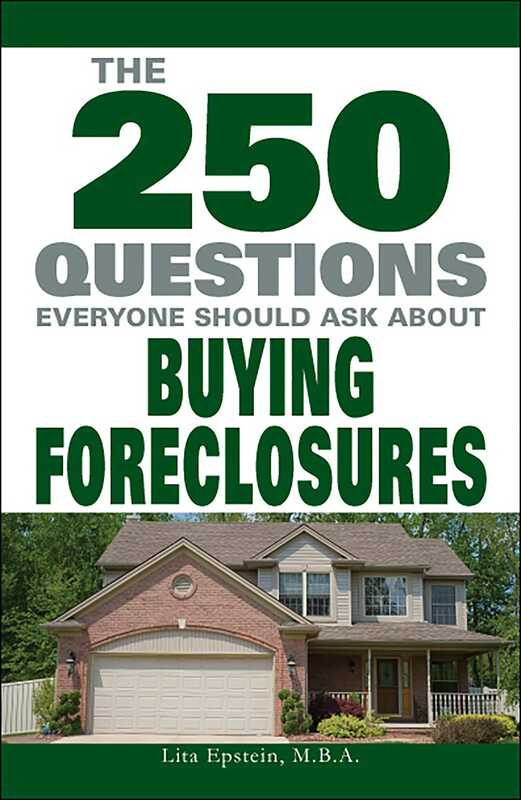 She has more than a dozen books on the market, including The 250 Questions You Need to Ask to Avoid Foreclosure, Streetwise(r) Crash Course MBA, Streetwise(r) Retirement Planning, and Alpha Teach Yourself Retirement Planning in 24 Hours. She was the content director for the financial services Web site MostChoice.com and managed the site Investing for Women. She also wrote TipWorld's Mutual Fund Tip of the Day in addition to columns about mutual fund trends for numerous websites. She lives in Poinciana, FL.